Good morning darlings! 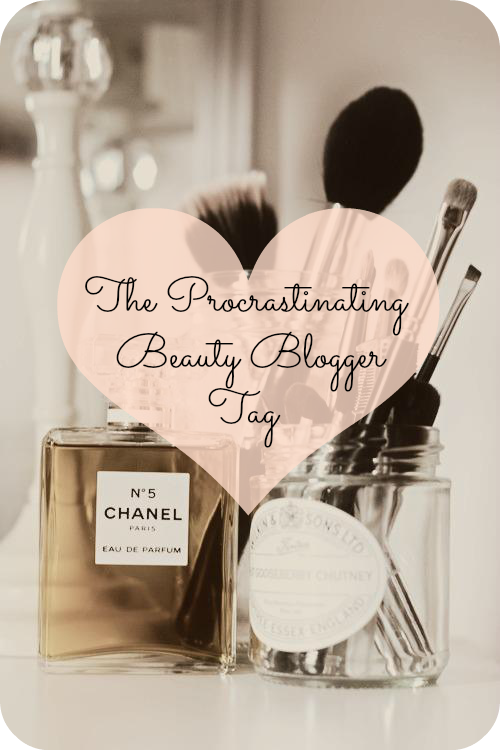 Decided to do a TAG post today! My game plan is to have a post for every day this week cause I'm pretty sure next week is going to be pretty spotty cause of Christmas. Enjoy! Applying lotion.. I either always forget or am just to plan lazy haha! Can I plead the fifth? In truth I am really bad with staying on top of washing my make-up brushes regularly but I don't really wear makeup as often as I'd like to. On average makeup is on my skin 4-6 times a month... I know sad LOL. I paint my nails weekly but usually if my nails start to look haggard I'll repaint my nails. Luckily I can usually get my polish to last the full week. I have such a surplus of every thing I can usually switch up my routine till I have a chance to replace the product. Plucking / tweezing my eye brows. I am so lazy when it comes to doing my eyebrows. I usually wait till they are out of control and they take super long to reshape. Laundry or vacuuming our stairs. Stairs are such a nightmare to vacuum! No way! I hate, hate, HATE rushing around. Plus my husband can't stand being late so I usually try and be done early so we don't have to worry about being late anywhere. I try... I really do. Sometimes I'm successful and some time...well...you know.. I seriously am O.C.D. about my office and my collection of products so I keep everything pretty organized. Who wants a video of my office? !